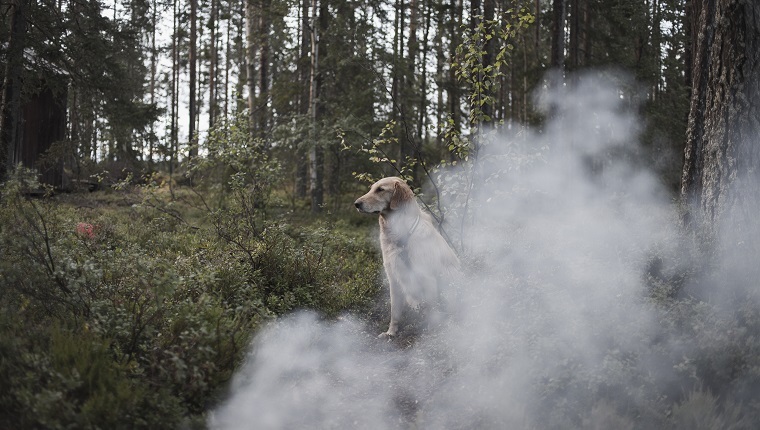 Wildfires endanger natural resources, property, people, and of course, beloved pets. So far in 2018, the Mendocino Complex Fire burned 500 square miles, the Holy Fire caused 20,000 people to evacuate from their homes, and 16 other wildfires still burn in the state of California, alone. The almost unimaginable devastation serves as a reminder that we must protect what is most precious–our lives and the lives of our loved ones, including our animal companions. If you haven’t already prepared your human family and pets with a plan that includes what to do in the event of an evacuation, now is the time. Even if you end up not needing to evacuate, it’s better to have a plan and not need it than to need a plan and not have one. 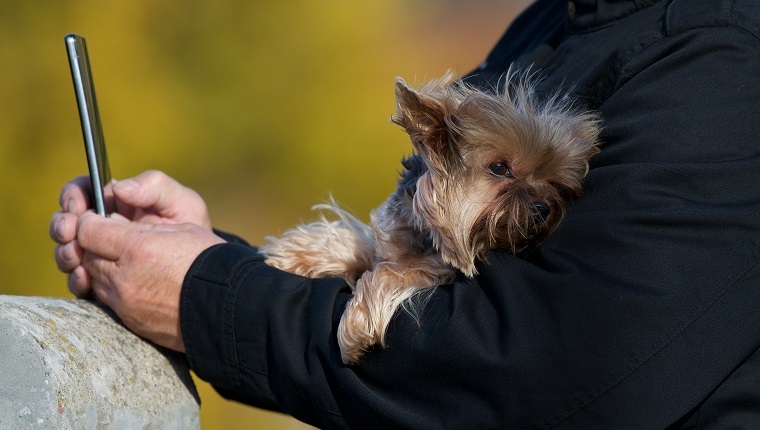 Read these helpful tips for preparing for a wildfire and evacuating with your pets. Firstly, you need a way to stay updated on the emergencies in your area and know whether an evacuation is necessary. There are several ways to get emergency notifications, and it’s best to have multiple ways to receive communications in case one method fails. Staying alert helps you prepare your household and your pets if the worst happens. Follow these tips. Understand the risks for where you live. The USDA Forest Service created a wildfire hazard potential (WHP) map of the U.S. that indicates how likely it is for a wildfire to affect you. Risks change depending on precipitation and other factors, but checking this map may be a good first step in preparing yourself. Download the FEMA mobile app to your smart phone. This app sends you notifications about natural disasters from the National Weather Service, gives you preparedness tips, and helps locate shelters among other things. Some reviewers claim the app sends too many notifications, but the app gets updates frequently to address user issues, and it’s better to be too informed than not informed at all. The ASPCA mobile app can also help you prepare for a disaster, manage your pet’s health records, and provide you with resources to help you find a lost pet should you get separated. Have a hand crank or solar-powered radio, and set the frequency to a NOAA Weather Radio All Hazards (NWR) station. It will help you stay informed in the event that your phone dies or other communications go out, and these stations broadcast 24/7. If an evacuation occurs, you’ll need a safe place to go that will allow your whole family and pets to stay. Then, make sure your family knows where to go in case you are separated or unable to reunite before evacuating. There are several options that might work for your individual situation, and some options might be ruled out if they are also located in a place affected by wildfires. However, note that many evacuation centers do not accept pets due to health and safety regulations, so do not rely on them as an option unless they specifically tell you pets are allowed. Additionally, plan for a backup in case your first emergency meetup location isn’t usable. Consider the following options. The best option is to have a friend or family member who can take you in for a while. Try to pick someone who lives far enough away that you can escape danger. Also, think of several different family members or friends in case your top choice is dealing with an emergency, too. 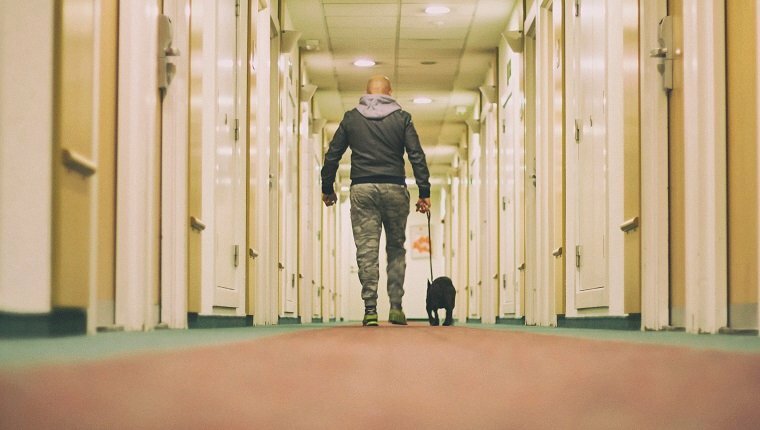 Create a list of hotels and motels that allow pets. Make sure that you find a few options, as some locations may also be in the path of a wildfire. Several websites let you search specifically for lodgings that allow pets, including bringfido.com, expedia.com, and hotels.petswelcome.com. If you must go to a place with your family that does not allow pets, like an emergency evacuation center, look for a pet sitter, kennel, vet’s office, or animal shelter, as sometimes these places make special arrangements for pets in cases of emergencies and natural disasters. Call ahead. Your pets can’t possibly know how to prepare themselves for an evacuation, so it’s your job to make preparations for them. Start taking these steps well in advance of an emergency. Some of them you can even do right now. If you live in an area where wildfires are a possible threat, keep your pets inside whenever it’s not necessary for them to be outdoors, and have them on leash and supervised when they are outside. Animals can bolt and hide when they are afraid, and that can make them difficult to find when a few moments can make the difference between getting out and getting hurt. You need to have a way to keep them under control and easy to reach. Frightened pets can hop fences, chew through leashes, and ignore learned commands. Keep them safe. 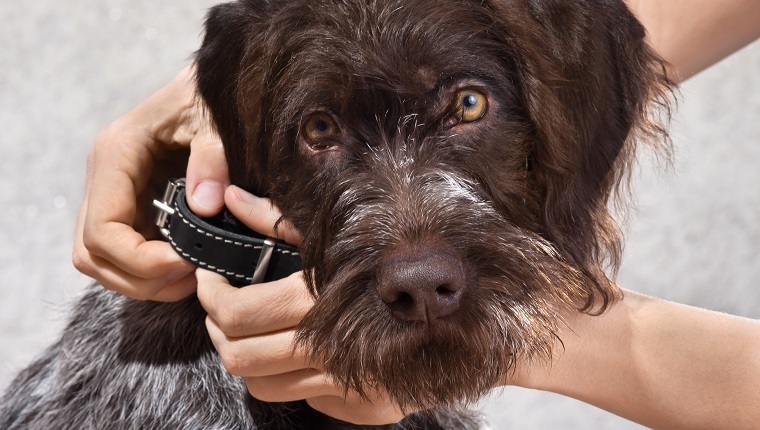 Update your pet’s microchip and collar identification. Make sure the contact information is accurate, and have an emergency contact number listed in addition to your own, just in case you can’t get to your phone. 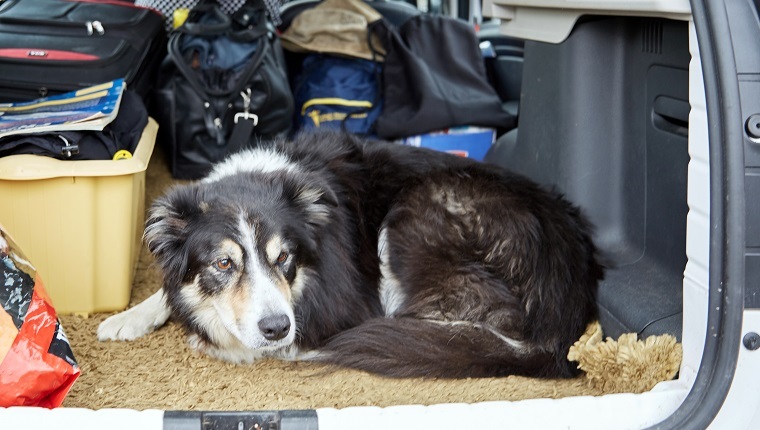 If your pet gets lost, this is one of your best chances of being reunited with them. Get a fire alert sticker for your front door. This sticker should let firefighters know how many pets are in your home. If you can’t get to your pet before being evacuated, or if you can’t find them and need to escape right away, the sticker will help emergency responders save your animals. Get your neighbors’ contact information. If you can’t make it home, designate one of your neighbors as a person you can call to pick up your pets and take them to safety if the worst should happen. Discuss this with them before an emergency occurs. Find a few backup neighbors in case any of them aren’t home. You’ll need several supplies for your pets to take care of them while you’re away from home. Keep these supplies together in a place where you can grab them and go, if necessary. Also, pack an emergency kit for humans with supplies for yourself and your human family members. Your pet emergency kit should be easy to pack, but it should also contain all of the essentials you’ll need for a few days. Here are some of the things you should pack. A pet first-aid kit. You should ask your veterinarian for a checklist of things to pack in a first-aid kit for your individual pets. 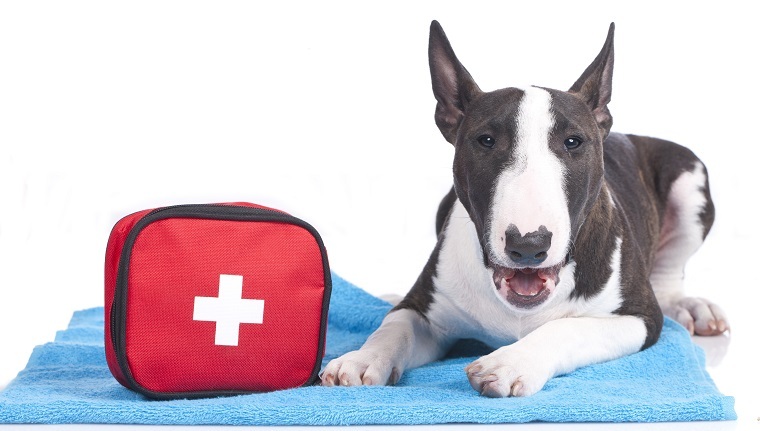 Click here for more info on what should be included in a first-aid kit for pets. The ASPCA recommends you pack three to seven days worth of food for each pet. Medical records and recent photos for each pet. You can store these on a flash drive if it is easier. A week’s worth of any medication your pets might need. Paper towels, litter boxes, poop bags, garbage bags, or other supplies to clean up after your pets. Extra supplies like leashes, toys, harnesses, collars, food and water bowls, etc. If you are told to evacuate, take your pets with you and leave immediately, even if you do not see signs of immediate danger. Furthermore, do not wait for the evacuation to become mandatory. Many people who are forced to evacuate are instructed to leave pets behind. Don’t let that become your only option. Follow the instructions of emergency service workers and get your family and pets to safety. Here are a few tips to follow. If you need to evacuate quickly, leave non-essential material possessions behind. No object is worth risking your life or the lives of your pets and family. Do not allow your pets to roam or get loose. Keep them in carriers or on-leash at all times. They will be in a stressful situation and potentially in unfamiliar places, which may frighten them enough to run away. Stick to your pets’ usual feeding and medication schedules as much as possible. Make sure your pets are wearing identification at all times. Remain calm and don’t take chances. Confirm that everyone in your party knows where you are going and who to contact if you get separated, and there should be no confusion about who is responsible for caring for pets at any moment. Don’t assume someone else in the family is paying attention to your pets at all times. Take shifts or have a designated caretaker. Stay informed. Listen to emergency stations and notifications. Do not return home until you receive the all-clear. What other tips do you recommend for pet owners who need to evacuate due to a wildfire? Also, what preparations have you made to evacuate if you need to? Let us know in the comments below!